Those of you who allowed yourselves the time to truly absorb Donato Wharton’s last full length effort ‘Trabanten’ will know just what an exciting prospect a new album from this British/German producer is. ‘Trabanten’ managed quite effortlessly to distil an immense scope of influence while holding together as a coherent body of work. One part To Rococo Rot and one part The Books, his subtle melodies tangled their way around fractured drum machines and simple, haunting electronic stutters. 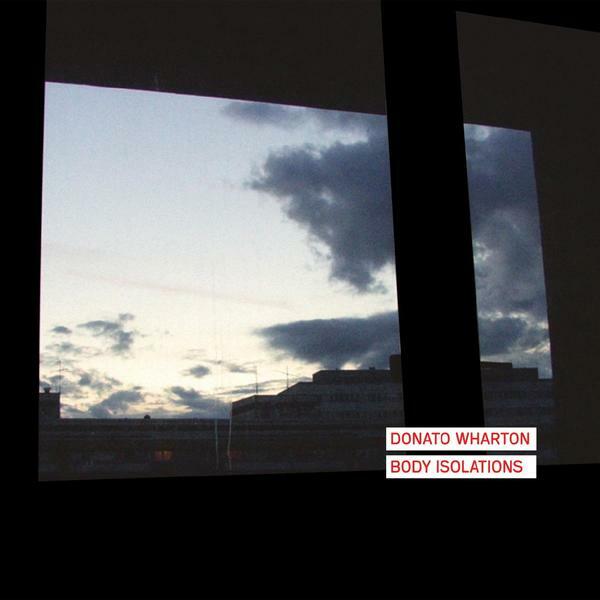 ‘Body Isolations’ acknowledges the successes of its predecessor, but at the same time manages to move Wharton’s sound forward into areas it had only hinted at with his debut. Beginning bashfully with the tempered, romantic ambience of ‘Absentia’ we are in moments enveloped in Wharton’s distinctive sound and ushered into a world of smoky clouds and decomposing electronics. ‘Blue Skied Demon’ makes it’s entrance with staggering guitar and then, quite surprisingly, an assured vocal part from Wharton himself. Mired in whispering noise and crumbling bass drones the vocal serves as the perfect accompaniment to the other-worldly sound, at once grounding the track in some kind of reality yet keeping a firm hold on the essential and unique ethereal surroundings. As it progresses, ‘Body Isolations’ reveals itself further with distant, chopped piano (‘Transparencies’), crushing guitar drone (‘Underwave’) and aquatic ambience (‘Puget Sound’) but it’s finest and most crushing blow is dealt with the simply stunning ‘The End of the American Century’. This track is maybe the most complete example of Wharton’s sound – a cracked, tape recorded guitar strum accompanied by bowed hums and then imprecise, off-time drums which all somehow make sense together. The elements themselves shouldn’t work together but Wharton as composer and conductor reins them in, tempers the unpredictability quite magnificently and this in the end is what sets him apart from many of his contemporaries. ‘Body Isolations’ is anything but an electronic album, rather this is a piece of broad reaching experimental music which subtly uses electronic instrumentation and processes at its core. The result is a quiet, moving triumph.